Dr. Bachuri has been a dentist since 1989. He has always had an interest in art, science and technology since he was young along with an active social life in his community. He used this interest to expand his knowledge in dentistry to help serve the community to achieve good oral health through education and preventative dentistry. He grew up in a family that has always been focused on healthcare and education, his father was an English teacher, his sister is a medical doctor and his wife is a family physician in Troy Michigan. Dr. Bachuri holds a double degree from Baghdad university and DVD from Tufts University 2002. 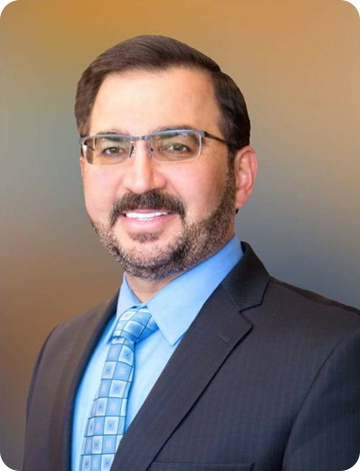 Over the years Dr. Bachuri has had specialized training and education in his field. He received special training for oral and maxillofacial surgery in Baghdad, orthodontic training at the United States Dental Institute in Ann Arbor Mi., certified in Laser treatment from the Academy of Laser Dentistry, Implant Dentistry training and certifications and continue to broaden his education in implant now he holds the highest credential in Implant Dentistry - Diplomat in American Board of Oral implantology Fellow of the American Academy of Implant Dentistry. He implements great dentistry through continuous study, training and certification. His staff is fully trained and certified in all aspects of dentistry so that all patients are receiving the best care available. He is an active member of The American Dental Association, Michigan Dental Association, Detroit Dental Clinic Club, Oakland County Dental Society Study Club, United States Dental Institute, American Academy of Implant Dentistry, Academy of Laser Dentistry, American Academy of Cosmetic Dentistry, World Clinical Laser Institute, American Academy of Orthodontics Society, International Association of Orthodontics and the Chaldean American Association of Health Professionals.. Dr. Bachuri is always updating and improving his knowledge and technology to provide the best service available to his patients. Dr. Bachuri has been married to his wife Dr.Hana since 1993 and has two wonderful kids follow their parents' steps. With his vast education and skills, he helps his patients receive the best treatment. Dr.Bachuri receives great satisfaction when his patients have received the best dental treatment and care available to serve them. As the Founder of Laser Family Dental his mission is to provide the community with excellent dental care and optimum oral health using the latest technology.